After last week's ACMA announcement about its temporary 3D broadcast licence, you sort of knew SBS would be broadcasting certain key matches of the 2010 FIFA World Cup in 3D. Well, last night, SBS officially announced it would be broadcasting those key matches in 3D, as well as regular 2D, live as they happen. As well as broadcasting the matches live in 3D on a dedicated 3D channel, the matches will then be placed on a loop and replay over and over again until the next 3D televised match becomes available, which means there will always be some content on the 3D channel to watch. 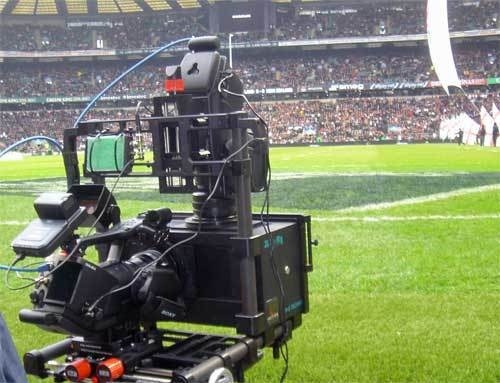 Previously, Sony have said that they'll be filming 25 matches in 3D throughout the World Cup. While the SBS announcement doesn't specifically say that all those matches will be broadcast live in 3D, it certainly seems like that will be the case. So if you happen to pick up a 3D TV before the World Cup starts, it looks like you might actually have some content to watch on it.